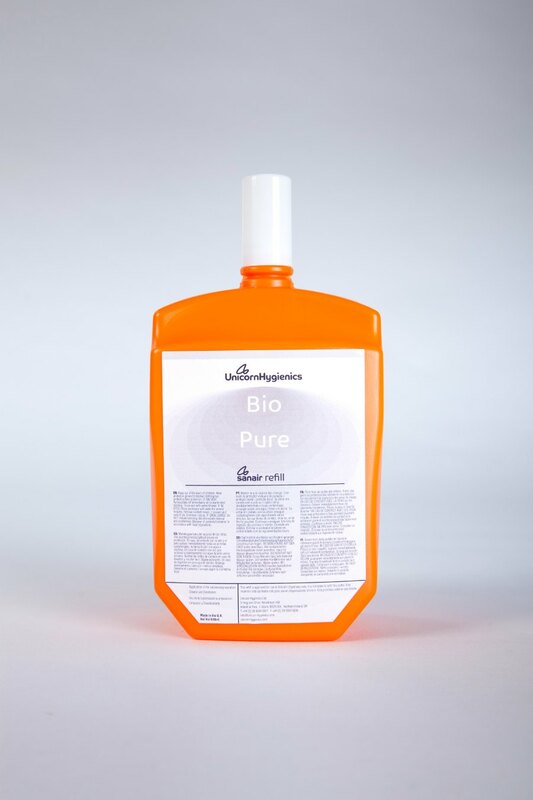 Bio Pure is one of our enzyme based cleaner and deodoriser fragrance refills. This comes with the same qualities and features as our 310ml and 610ml refill with the only difference of being fragranced and the added value of being eco-friendly formulation. 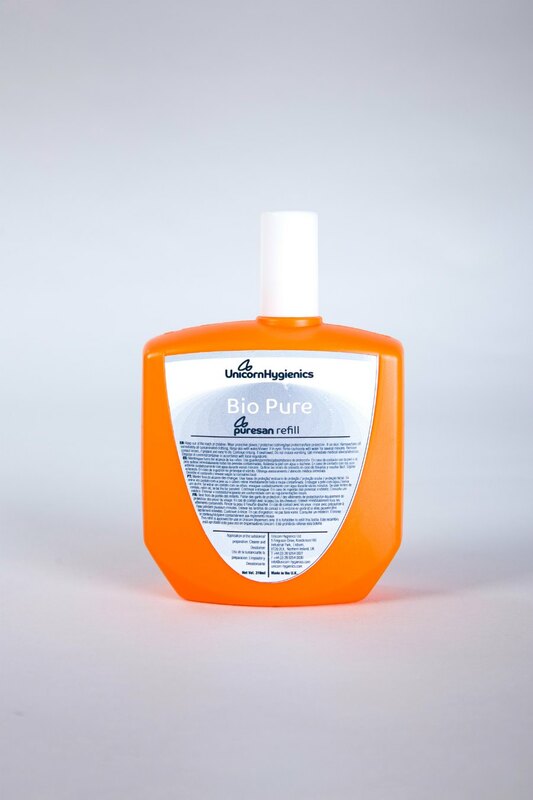 Unlike other washroom products which chemically attack odour sources, our Bio Refills harmlessly digests odour causing substances such as urine and fatty acids. The micro-organisms in the Bio Refills not only break down harmful bacteria and substances such as urine but feed on the by-products as part of their mode of action. Thus, the malodour is destroyed with the release of harmless carbon dioxide to the atmosphere.